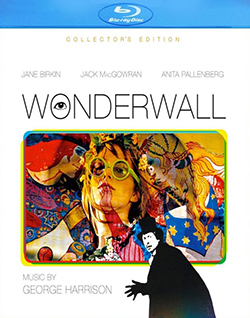 Read my full review of Joe Massot’s psychedelic whatsit Wonderwall, out last month on a mostly satisfying Blu-ray package from Shout! Factory, at Slant Magazine. This entry was posted in film, movie reviews and tagged blu-ray, Jack MacGowran, jane birkin, Joe Massot, shout! factory, slant magazine, Wonderwall. Bookmark the permalink.